FAQ page is a valuable asset for e-commerce websites (or any) when it comes to answering potential customers’ questions. The list of commonly asked questions can relieve people’s concerns before purchasing your products and services. Let your customers know more about your brand while you take other marketing and search engine optimization measures. An FAQ page can only be successful if it can answer the questions people are asking. Dig deeper into identifying the most common questions, concerns, and problems that your website visitors encounter. Questions can quickly be figured out by conversing with both current and existing customers, or those have visited your website but denied to do business with you. List the most commonly recurring questions, and proceed with crafting them into a useful FAQ page. Once you are done with a complete list of questions for your e-commerce website, make it more useful by creating concise yet comprehensive answers to those questions. Make sure that you are providing all of the information necessary to satisfy your visitors’ inquiry. To be more precise, provide only the necessary information which is as brief as possible. Questions are needed to be organized logically so that visitors can quickly scan the page for the information they require. If you have a long FAQ page, split-up questions into different topics that are clearly labeled. Provide visual aids to help website visitors identify the issues they are interested in quickly and effectively. Make sure that you position your FAQ page where it can be quickly found when needed. For instance, you can place it at the top of your web pages or in your navigation bar rather than putting it at the footer of the website. The visitors should be able to access the answers to their questions when they need them the most. Keeping a connection between you and your customers is important on your FAQ page. Try writing the questions and their answers in a conversational style to build a connection. Use a simple form of writing that your target audience understands. It simply makes your answers more understandable and enjoyable at the same time. While you are creating a frame of your questions and answers, make sure you are writing them with a consistency that reflects your brand personality. If your brand, in particular, is known for a certain tone or offbeat individuality, then carry it throughout your FAQ page. It will not only create a more engaging page for your website visitors but strengthen your brand image while leaving a positive impression on readers. 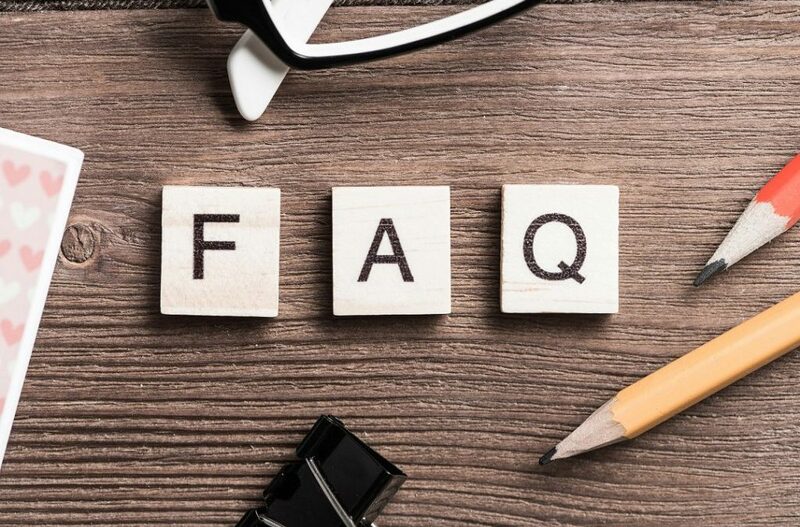 While creating an FAQ page is the core function of your e-commerce website, you can make it more useful by directing your visitors to other parts of the website. Providing links to landing and product pages within your e-commerce website’s FAQ page, you are simply encouraging visitors to continue exploring your website. Including call to action buttons on an FAQ page can encourage your website visitors to take action on your e-commerce website immediately. A visible button such as ‘Buy Now,’ ‘Get Started,’ or ‘Contact Us Today’ at the top of the page will encourage visitors to take action as soon as their questions have been answered. Creating calls-to-action within the answers to the questions themselves (depending upon the issue) can result in the higher conversion rate to your e-commerce website. An FAQ page should include a careful, clear, and thorough discussion of the questions that are important for the customers to know about your products and services. It can also serve as a point of reference that builds your company’s credibility and encourages your visitors to continue engaging with your business. A web development company can certainly help in making sure that you have an FAQ page that is a useful part of your e-commerce website.